Last weekend I fixed all the dripping taps in the house, which means they all still drip, just in a slightly different way. While waiting for time enough to have a second crack at fixing them, I had to put containers under each to collect the wasted water for the garden. 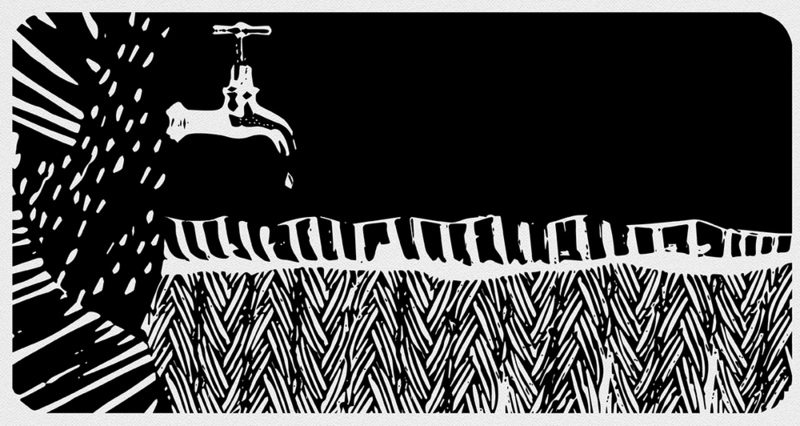 At the same time, I’ve been thinking about the dripping taps as a metaphor for doing large projects over long periods. Taking on something big or doing many projects at once requires endurance—the strength to chip (or should I say ‘drip’) away at something day after day. Endurance is effort plus focus over time. And it’s the focus part that I struggle with. Ernest Hemingway had a neat trick for remembering where he was up to each day. In fact, he had plenty of strange eccentricities when it came to his daily routine. He wrote standing up, using a wooden board which he rested on a narrow shelf. In the early stages of a story, he would write with pen and paper. If the story ended up having some life in it, he would transfer it to his typewriter and continue from there, as if a new idea was like a tiny flame that needed coaxing by hand before it could survive in the cold, stark landscape of a typewritten page. Hemingway got up every day at sunrise and worked, keeping track of his progress on a chart on the wall, recording number of words he’d written each day. When the time he allotted himself was over, he would down tools immediately—famously, often mid-sentence. 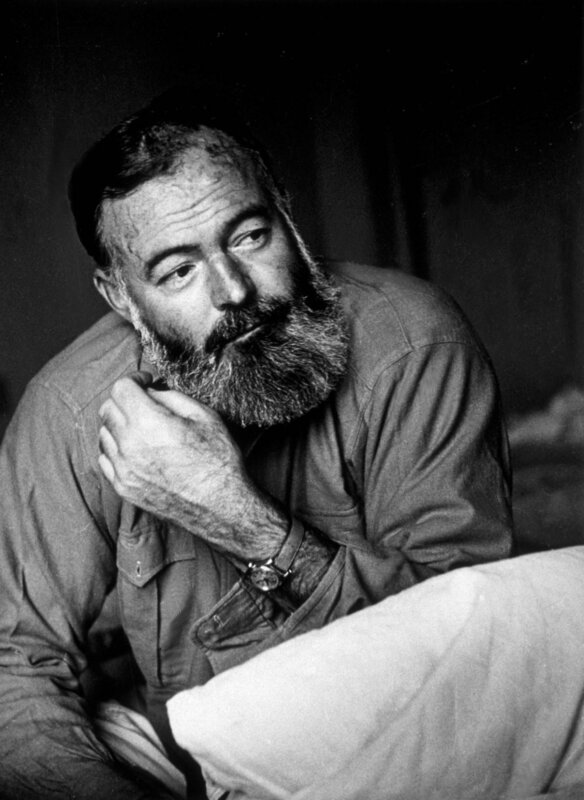 “You always stop when you know what is going to happen next, you go on from there,” Hemingway said in an interview for The Paris Review in 1954. “You write until you come to a place where you still have your juice and know what will happen next and you stop and try to live through until the next day when you hit it again. 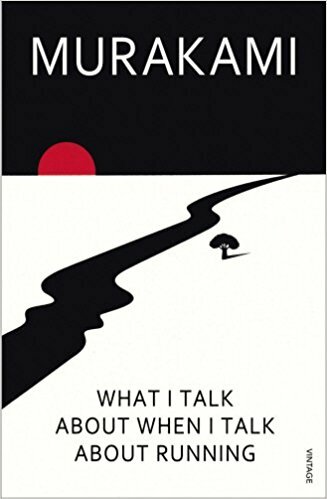 Haruki Murakami alludes to the same story about Hemingway in his memoir What I Talk About When I Talk About Running, which details the Japanese novelist’s twin passions—writing novels and running marathons. “Most of what I know about writing fiction I learned by running every day,” Murakami explains, which he still does at age 69. I have so many projects on the go at the moment and only time enough to make little bits of progress each day. To leave myself a few breadcrumbs leading back into the work, I’ve been using the same trick as Hemingway and Murakami . I’m learning to leave a little leftover so I can pick up the thread of where I’m up to the following day, because a finished sentence, paragraph, image, task, or idea is a cauterised stump that won’t grow anything new. Whereas something irresistibly unfinished—the droplets of an ellipsis, a sprinkling of spelling mistakes, or some unsightly formatting begging to be righted like a newly hung picture hanging crooked in its frame—is an tantalising invitation back into the drip, drip, drip required to keep filling that bucket. Like Murakami says, it feels good to get into the daily rhythm of stopping on a runner’s high instead of at the peak of exhaustion, and then starting again the next day on the downward slope. “You’ll naturally learn both concentration and endurance when you sit down every day at your desk and train yourself to focus on one point,” Murakami writes. I like the idea that being creative involves your whole body. Day in, day out, creative work is a dialogue between you and the world. If you have a good routine, the steady drip, drip, seeps into your muscles and bones, and into your very being.